Michael John Macklin was born on 25 February 1943 in Cricklewood, London, the youngest of four sons born to his Irish father, James Joseph Macklin, and English mother, Vera Alice, née Headley. In 1949 the Macklins migrated to Australia on the SS Ormonde as 'Ten Pound Poms' under an assisted passage scheme, and landed in Melbourne. Later that year, the family moved to Ayr, in North Queensland sugarcane country, where the town, with its numerous main street hotels and a seasonal population of itinerant canecutters, provided a dramatic contrast with London. James Macklin, who had worked in the railways in England, drove cane trains before working as a storeman and packer in Ayr. Michael attended the local convent primary school followed by the Marist Brothers School until 1954 when the family moved to Sandgate, on Brisbane's bay side. The only one of his siblings to complete secondary education, Michael was a student at St Patrick's Christian Brothers College before completing the last three years of his secondary schooling at St Enda's Christian Brothers Juniorate in Strathfield, Sydney. In 1962 Macklin entered the Christian Brothers Novitiate at Minto in south-west Sydney but left in October of that year with the intention of joining the Franciscans, who he said were 'more relaxed', and therefore more appealing to him than 'the very hard line' Christian Brothers. Macklin had to wait a year before joining the Franciscans, and worked as a clerk with the Department of Civil Aviation, Brisbane. He then entered Franciscan monasteries at Mount Eliza, Victoria, and Phantom Island, Queensland. He left the order four years later, after preaching against the Vietnam War and meeting vehement opposition from his fellow monks. Despite this break with the Church, Macklin paid tribute, at the end of his parliamentary career, to the values his 'Irish Catholic upbringing' had given him. Macklin commenced an Arts course at the University of Queensland (UQ) in 1968, and funded the first year of his studies in quintessential Queensland fashion with 'a peanut run' that involved filling up stands on hotel and club bars all the way from his parents' home to the university. On 11 December 1970 Macklin married Jennifer Ann Young, later a secondary school teacher, whom he had met through his participation in the university drama society (ten years later, Macklin was awarded a licentiate in drama and speech from Trinity College, London). He graduated in 1971, with a BA and Dip Ed, and taught English and History at Redcliffe State High School while completing a Masters degree in Educational Studies (1973). His Masters thesis, a critical study of the ideas of radical priest and educationalist Ivan Illich, was published by University of Queensland Press as a book, When Schools Are Gone. This led to his appointment as lecturer in the philosophy of education at UQ. He worked there until his Senate term began, completing a PhD in 1980. I was the only Queensland member on day one solely by virtue of the fact that I was organising Don Chipp's Queensland meeting. I was made a member of the National Steering Committee and Chairman of the Queensland Steering Committee with powers to co-opt—not that there was anyone around to co-opt. There was no professional support and little funding for a party facing its first election within months of its formation. According to Macklin, the party's next thirty years were 'relentless slog'. He estimated that 'the cost in dollars has easily been exceeded by the cost of human wear and tear, home and family disruptions, interminable bloody meetings, policy debates and more ballots than a Swiss canton'. Macklin was fortunate to be 'blessed with stamina, good health, a family who shared his concerns, and driving ambition'. As a founding member of the Queensland Democrats, he had served in multiple capacities before entering the Senate. He was the party's state president (1977–79), a member of the National Executive (1978–83, 1987–90), and served as national deputy president (1979–80, 2000–01). Macklin, who had first stood for the Senate in 1977, was elected as the first ever Democrats senator from Queensland in October 1980; he took his seat in July 1981. Macklin was re-elected in the double dissolution election of 1983 (in which the Hawke Labor Government came to power), and in 1984. He faced another double dissolution election in 1987, where he was re-elected for a three-year term. Rather than contest his fifth election in ten years, Macklin decided to retire in 1990, citing the toll politics took on family life. The Macklins had three children and, in 1990, Jennie Macklin spoke of the isolation she experienced and the 'incredibly taxing' nature of her husband's work. This was particularly so for a senator from a small party which either held or shared the balance of power for the entire period of Macklin's tenure. Macklin was the spokesperson for a number of portfolio areas throughout his decade in the Senate, including foreign affairs, primary industry, education, Aboriginal affairs, electoral matters and veterans' affairs. He also served as party Whip for seven years, from the time he entered the Senate until 1988. Although none of Macklin's bills passed into law, he believed that the exercise was still worthwhile for two reasons: it entailed the discipline of putting party policy into legislative form, and ensured that contentious subjects were brought to public attention, allowing them to be argued more persuasively once they had ceased 'frightening the horses'. Many of the outcomes he sought through his bills eventually came to pass. These included the protection of Moreton Island from sandmining, and the World Heritage listing of the Daintree Rainforest, in order to protect it from 'further needless and senseless destruction'. For Macklin, accountability of the executive was an essential component of responsible government, though he remarked privately that the subject attracted no interest in the electorate. Macklin also considered himself 'accountable at all times to those whom I represent'. To that end, he published an annual report—eventually known as The Macklin Report—detailing the parliamentary activity of the Democrats, and reproducing some of his speeches and press releases. In pursuit of executive accountability, Macklin moved several successful motions which were embedded eventually in standing orders, and one such reform bears his name. The Macklin motion, which he instigated in 1986, was designed to alleviate the rush of legislation at the end of a parliamentary sitting by imposing a deadline (often referred to as the 'cut off') on the receipt of bills from the House of Representatives. Bills not received by the Senate before the deadline would be automatically adjourned until the next sitting period. While Macklin's measure did not resolve the problem of rushed legislation, it pointed the way to a more effective mechanism, proposed by Greens WA Senator Christabel Chamarette and adopted in 1993, by which a 'double deadline' was imposed on both the introduction of legislation into the House of Representatives and its receipt by the Senate. In 1988 Macklin successfully moved a resolution establishing what became known as the '30 day rule', requiring a minister to respond to a question on notice within thirty days, and permitting unrestricted debate on the adequacy, or otherwise, of the minister's response. In the same year, he proposed a solution to the problem of governments failing to proclaim legislation, thereby ignoring the expressed will of Parliament. Macklin's successful resolution required 'the production of a list of unproclaimed laws, and provisions of laws, together with reasons for their non-proclamation and a timetable for their operation', which would be tabled twice yearly. Both of Macklin's 1988 resolutions were incorporated in standing orders in 1997. In 1987 Macklin, together with Liberal Senator David Hamer, led successful Senate resistance to an attempt by the Hawke Government to fetter the Senate committee system. Macklin found the committee system vital in securing legislative results. Membership of the Joint Select Committee on Electoral Reform was 'a trying experience but one which I ultimately found very rewarding'. This committee, which sat from 1983 to 1987, ushered in Australia's 'last great wave of electoral reform' which included expanding the size of Parliament, direct public funding of political parties, public disclosure of donations to political parties, establishing the independent Australian Electoral Commission, the inclusion of party affiliations on ballot papers, and introducing 'above the line' voting on Senate ballot papers. Final outcomes were often the result of compromise. Macklin recalled that the Democrats' position regarding their goals was that if they achieved eighty per cent of what they wanted, they should take it, since it was always possible to 'stay and fight another day'. In September 1987 Macklin introduced a package of five constitutional amendment bills to the Senate. Four of the measures focused on electoral reform, while the fifth proposed a solution to 'the extremely contentious issue of the Senate's power to block supply'. Through his electoral reform bills Macklin sought to introduce a fixed four-year parliamentary term; to introduce citizen-initiated legislation via referenda; and to break the nexus between the House of Representatives and the Senate to allow an increase in the size of the House without adding to the Senate. He also wished to guarantee the principles of the right to vote and one vote, one value. In advocating the latter, Macklin had in mind, especially, the severe malapportionment of the electoral system in his home state of Queensland. Macklin proposed that if the Senate blocked supply the government would still have available to it the same amount of money appropriated in the previous year; the Senate's power to 'oppose and defeat' would relate only to any unscrutinised increase in supply. While he knew that his bills would not pass, Macklin believed that the time was right to draw public attention 'to some oversights of our founding fathers', and to promote 'better and more effective government'. Macklin, who was also a consistent advocate for the introduction of proportional representation for House of Representatives elections, rated his work in support of 'radical reform of Australia's antiquated electoral laws' as among his greatest achievements. Macklin also took particular pride in his work on behalf of Vietnam veterans, including his contribution to the establishment of the Vietnam Veterans Counselling Service in 1982. He said, in 1983: 'although I was opposed to that war I am not opposed to the veterans'. Macklin was made an honorary member of the Vietnam Veterans Association of Australia, and was invited frequently to speak at their national conventions. The War Crimes Amendment Bill 1987, intended to expedite the prosecution of Nazi war criminals resident in Australia, was the subject of intense and prolonged parliamentary debate. Macklin's contribution, in December 1988, was among the most striking. A supporter of the bill, he was concerned that the war crimes debate 'had gone on so long ... that the term "war crimes" had lost its meaning for most people'. He listed 'random atrocities' which could be found 'on every page of the transcript' of the Nuremberg trials, and which were committed against civilians, young and old, as well as prisoners of war. Macklin believed that Australia had 'a solemn obligation to pursue justice' on behalf of those who were murdered and 'to their Australian families and friends', and 'to those Australians who, surviving cruel and inhuman tortures, came to build a new life in this country'. In the face of 'such loathsome crimes', Macklin concluded, it was impossible to say, 'Just forget about it'. 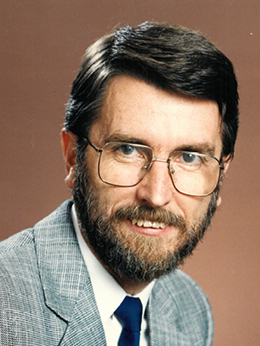 Macklin was a member of the landmark Senate Select Committee on Legislation Procedures (1988–90), which made recommendations, adopted in 1989, for bills to be referred to committees on a more regular basis through the establishment of a Selection of Bills Committee, and for greater efficiency in consideration of bills by the Senate. In October 1988 the government adopted Macklin's motion that a package of sixteen bills, relating to corporate law and the establishment of the Australian Securities Commission, be referred to a select committee. The Minister for Justice, Senator Tate congratulated Macklin, commenting that his proposed terms of reference for the committee made 'an innovative use of the parliamentary committee system', and 'will enable this Parliament to discharge its duties so much better'. Macklin was Deputy Leader of the Australian Democrats from 1986 to 1990, and ended his Senate career as acting Leader of the party between March and June 1990, following the resignation from the Senate of Janine Haines and her failure to win a seat in the House of Representatives at the general election of 24 March. Don Chipp expressed the highest regard for Macklin's intellect: 'his mind is extremely sharp, and a person who is engaged in argument with him needs to stay relevant or pay the penalty. He can grasp the most complex set of facts in a very short time'. Macklin's wide-ranging, acute and detailed contributions to the Senate bear out Chipp's judgment. Among the valedictory remarks made about Macklin, the words of the Leader of the Government in the Senate, John Button, were generous and considered. Button said that Macklin had 'contributed sensible, genuinely moderate and informed views to debate in the Senate, and I think he has done that with integrity and in a very forthright way'. In 1992 Macklin joined with John Black and Chris Puplick, respectively former Labor and Liberal senators, to publish Up the Greasy Pole: A Year in the Life of Senator Frank Bragger, an account of a fictional senator from Queensland. When Macklin left the Senate, he returned to the education sector to become the first Director of Development at the University of Queensland (1991–94), where he engaged in a number of successful fund raising ventures including the restoration of the historic Customs House in downtown Brisbane. This was followed by eight years as the first CEO of Hall Chadwick Education Consulting. He also served a five-year term (1998–2003) on the (Aboriginal) Land Tribunal Queensland. In 2002 Macklin was appointed Executive Dean of Arts at the University of New England. Upon his retirement at the end of 2006, he and Jennie returned to Queensland where he devoted his time to research, consulting and writing. He is a life member of the Australian Democrats. He is a member of the Advisory Board of the Biographical Dictionary of the Australian Senate and was one of the project's earliest advocates. This entry draws on separate interviews conducted with Michael Macklin by the author, and by Susan Marsden, 2010, POHP; CPD, 31 May 1990, pp. 1661–3. CPD, 31 May 1990, pp. 1661–3; CPD (R), 24 March 1977, pp. 555–8; Transcript, Keynote address at the 30th Anniversary of the Founding of the Australian Democrats in Queensland, 14 June 2007. SMH, 19 Oct. 1990, p. 1; Senator Michael Macklin, 1981–82 Annual Report to the People of Queensland, p. 5; CPD, 19 Aug. 1981, pp. 81–3. Senator Michael Macklin, The Macklin Report, 1985, p. 1; Harry Evans & Rosemary Laing (eds), Odgers' Australian Senate Practice, 13th ed., Department of the Senate, Canberra, 2012, p. 297; Rosemary Laing (ed. ), Annotated Standing Orders of the Australian Senate, Department of the Senate, Canberra, 2009, pp. 271, 362, 424; Harry Evans, 'My 40 Years of Canberra Joy', Crikey, 24 July 2009; CPD, 12 Oct. 1983, pp. 1482–3, 20 Nov. 1983, pp. 2993–4, 23 Sept. 1987, pp. 525–33; John Uhr, Rules for Representation: Parliament and the Design of the Australian Electoral System: Research Paper 29, Department of the Parliamentary Library, 2000, p. 24; Australian Democrats, 30 Years, Australian Democrats, East Melb., Vic., 2007, p. 23. 30 Years, Australian Democrats, p. 23; CPD, 27 Aug. 1981, p. 411–12; Rod Kemp & Marion Stanton (eds), Speaking for Australia: Parliamentary Speeches That Shaped Our Nation, Allen & Unwin, St Leonards, NSW, 2004, p. 247; CPD, 15 Dec. 1988, pp. 4257–61; Richard Pye, 'Consideration of Legislation by Australian Senate Committees and the Selection of Bills Committee', The Table, Vol. 76, 2008, pp. 34–8; CPD, 14 Oct. 1988, pp. 1380–3. Don Chipp, Chipp, John Larkin (ed), Methuen Hayes, North Ryde, NSW, 1987, p. 37; CPD, 31 May 1990, pp. 1646–9. This biography was first published in The Biographical Dictionary of the Australian Senate, Vol. 4, 1983-2002, Department of the Senate, Canberra, 2017, pp. 199-203.